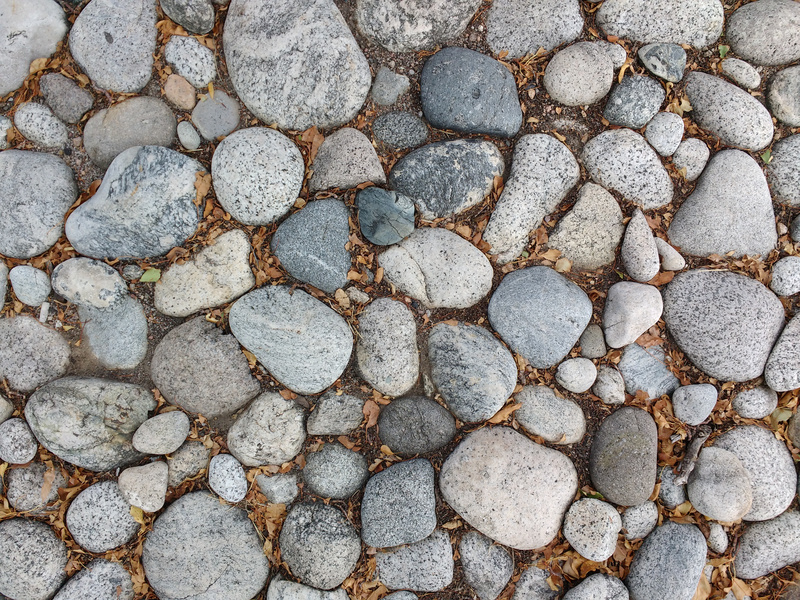 Free high resolution photo of rounded rocks. This picture shows river rocks or stones used as mulch in a landscaping application. These rocks look to be mostly granite, and you can see that the edges are all rounded from water erosion. The rocks are of fairly good size, as opposed to a small gravel. Between the rocks you can see some dirt and dry tree leaves. Great background, wallpaper, or texture image for a website, blog, computer, phone, scrapbooking or Photoshop. Free image for any use.